Secure Data Recovery Services in Washington D.C. 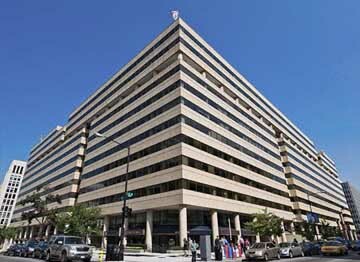 Through our local office in Washington, D.C., Secure Data Recovery Services provides the District of Columbia with an effective recovery solution to data loss, as well as computer forensics. Washington, D.C.'s corporations, including Quest Nutrition can rely on Secure Data Recovery Services' confidential computer forensics to assist with employee misconduct incidents. Whenever DC Metro Police are overwhelmed with criminal cases, our cutting-edge digital forensics offers backup. All of our forensics services are backed up by our many years of experience in providing expert testimony. 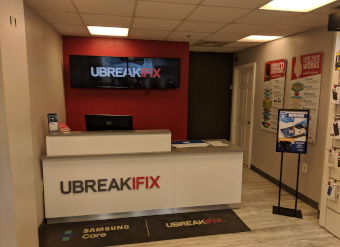 As the country's leading data repair specialists, we offer flexible options for hard drive data recovery, RAID repair, and other professional media services. Enterprise services, besides data recovery, include small- and large-scale media conversion and data migration. Below you will find address, directions, and hours of operation for this location. Washington, D.C., has one of the largest metropolitan areas in the United States, and the District's economy is largely based on government contracting, finance, and tourism. Secure Data Recovery Services opened an office in Washington to address the city's growing need for secure, GSA-certified data recovery. DC users can expect to receive consistent, reliable results when choosing our services. Media failures can strike at any time, and if you do not have a recent backup, you might face serious consequences if you do not have a solution for data recovery. DC businesses cannot afford extensive down time for their systems: They need a company that specializes in data recovery. Washington, DC, users can trust Secure Data Recovery Services. With a certified Class 10 ISO 4 Cleanroom and numerous security credentials, we give you an easy way to recover important files from damaged or unreadable devices. Secure Data Recovery Services is one of the only companies in Washington offering free data recovery evaluations, and our no-recovery, no-charge guarantee gives you peace of mind during the process. We also offer true 24/7/365 emergency data recovery services, and all of our services are available through the GSA schedules. When you need an effective resource for RAID services, tape repair, hard drive data recovery, or any other professional media service, Secure Data Recovery Services is ready to help. Contact our customer service team today to start your case on the road to hard drive recovery. Washington businesses can count on our certified and professional experts to produce satisfactory results. When choosing a professional data recovery company, you should look for high success rates and state-of-the-art laboratory technology from a company that specializes in data recovery. DC residents can rely on our ability to deliver consistent results, even when it seems nearly impossible to recover lost data. While some cases are unrecoverable due to excessive media damage, Secure Data Recovery Services offers an overall success rate of 96 percent, and we develop new data recovery technologies and techniques for the benefit of our clients. Data recovery companies need a certain set of tools and technology to recover and safeguard data. No other data recovery services in the District of Columbia come close to the services we offer. In addition to our industry-leading technology, we invest in our security systems to ensure compliance with all federal laws and regulations, including HIPAA, FERPA, and PCI- DSS. Secure Data Recovery Services holds full certifications for SAS 70 and SSAE 18 Type II. We are also a certified green business. The steps that you take immediately after a system failure will affect the cost and turnaround of your data recovery case. Take special note of any symptoms that arise, and contact us immediately. To keep your device from sustaining serious damage, you should shut it down as soon as you notice failure symptoms. Keep your media turned off until you can get a professional evaluation from a qualified company. Never attempt to use data recovery software or disk utilities, as some devices can sustain massive damage or data corruption in only a few seconds of operation. At Secure Data Recovery Services, we believe in providing our clients with fast, transparent media services that recover data. District of Columbia businesses can rest assured that their data is safe in the hands of our experts. Our facilities are extremely secure, and our engineering teams use creative solutions to deliver the best possible chances of a successful recovery in every case. We offer free media evaluations for our standard hard drive data recovery services, and you can bring your media directly to our D.C. facility to expedite your case. Businesses should further inquire about our RAID data recovery in D.C. It is the most popular storage option, and we treat hundreds of arrays each year. Our certified and professional experts will handle your case every step of the way. I highly recommend Secure Data for your recovery needs. Frederick was super helpful through the process and kept me updated throughout. He answered every question I had in a timely matter and walked me through each step of the process consistently checking in from start to finish. All of the data was recovered. If your searching for a recovery data company your search ends now, Secure Data is the place to go. The specialist I worked with for this matter was extremely patient and very communicative. I cannot thank him enough for helping me with this matter and helping me get the best deal possible. Needed them to recover some emails and files from my supervisor's computer. Frederick, my customer service representative, walked me through the entire process and answered all of my questions. All the data was recovered successfully, I definitely recommend this company. My LG G2 phone suddenly died and much of my information was not backed up (so I learned a big lesson). Luckily, after searching online, I found Secure Data Recovery Services. I was a little unsure if any company would be able to recover data off a cell phone. But, I decided to give them a try. Rob was assigned to my case and he kept in contact giving me updates on a regular basis. I was able to get back all the data on my phone on an external hard drive delivered to my home. An excellent service from an excellent company. I'm so glad they are around to help people. Thank you! Needed them to recover wedding video from an old camcorder that used a hard drive. Fred, my customer service representative, walked me through the entire process from start to finish. Answered all of my questions and got me what I needed. It wasn't cheap, but it was worth it to recover all of the video. They also didn't charge anything for shipping to them and for the assessment. I had a Samsung S5 from which I needed everything deleted/existing (texts, pics, whatsapp messages, etc). First off- Fred is amazing. I am a non-technical person, so I'm sure I annoyed him with questions the multiple time I talked with him before I actually decided to go with Secure Data Recovery. I was asking him about everything from what could be recovered, the process, whether the phone could be used again, etc. And I was very specific about what I wanted (which again, was everything), so I'm sure I was very high-maintenance. But throughout, Fred was friendly and patient. He answered by questions professionally and even told me multiple times to call him as opposed to emailing to get a quicker response. And he was honest about the likelihood of what data I could and could not get based on my particular situation. Second of all, I was pleased with the recovery. It seems that we got everything we could. Also, I was told that it would be done in a month, yet it was done in half the time. I would highly recommend Secure Data Recovery.